Below is a satellite photo of a section of Bolinas Ridge and Stinson Beach. The white line running diagonally down the upper right corner is W. Ridgecrest Blvd., which follows along the crest of Bolinas Ridge. 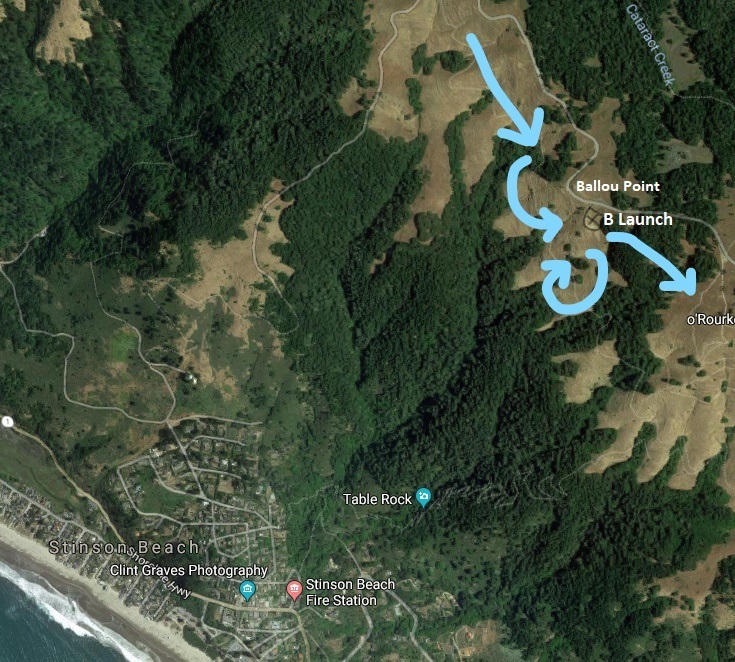 When we have NW winds (pictured by the blue arrows) flowing along Bolinas Ridge, the wind gets forced out and around (as well as up and over) Ballou Point. At B Launch, this can sometimes result in a West wind, which is straight in at launch. But regardless of the apparent direction at launch, NW winds are likely to produce a rotor, just off B Launch, as shown with the arrows. It is not possible to avoid this rotor from launch, except by timing your launch when this wind condition doesn’t exist. This rotor can be quite severe at times. 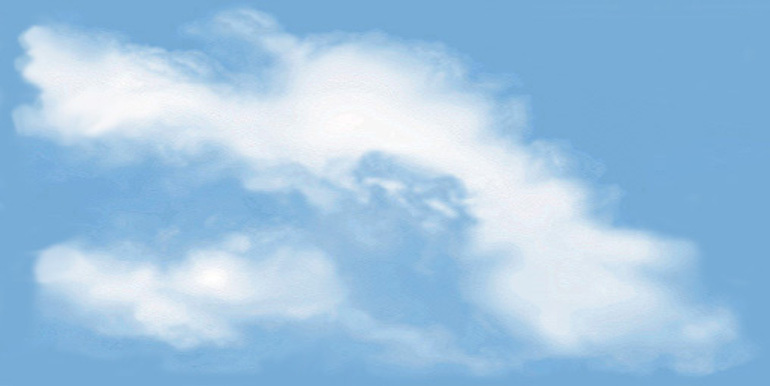 It can potentially cause a sudden loss of control, or a full sail collapse at low altitude. Please use caution and be sure you know the true wind direction.